IELTS Writing Task 2: Thesis statements. When writing the introduction of IELTS essays there are two steps that need to be taken. Paraphrase the task question and write a Thesis Statement. If the question asks for an opinion, it must be in the Thesis Statement. It depends on the type of essay you are writing as they are not all the same. It is important to write a thesis in the introduction for every type of essay. A good Thesis Statement goes towards getting a good band score in the writing section. The Thesis statement tells the examiner what the essay is going to be about and the conclusion of the essay paraphrases the Thesis statement. Some teachers, however, have other views and say a Thesis statement is not needed. There are different approaches to writing an IELTS essay, if you have 10 IELTS teachers in a room, there will be 10 different opinions on the matter. In my opinion, a thesis statement is logical and shows the reader what to expect in the rest of the essay. There is also an argument that this style is North American and not a British way to structure an introduction. It doesn’t really matter, as long as it is logical. One point I must make is do not confuse Thesis statements with Outline statements. Don’t use questions in the introduction, the thesis statement is not a question. The thesis statement comes after paraphrasing the question. Don’t confuse thesis statements with the above outline sentence. Outline sentences are for very long academic essays. 1. Opinion essays: write your opinion or how you feel about the topic. 3. Problem Solution essays: outline 1 or 2 problems and possible solutions. 4. Discussion essays: after outlining both sides of the argument, give your opinion if asked for. First you have to identify what kind of essay it is. The first step before you begin to write is to make sure you understand the question, then identify what kind of essay this will be. There are 5 variations on an IELTS discursive essay click here to see a lesson on this. Before you write the thesis statement you will need to paraphrase the question, click here more information on this. Click here to see how to write a good introduction to a Problem Solution essay. Here you need to clearly outline both sides and then state your opinion. Choose one side of the argument when you give your opinion do not give two different opinions. Stick with one side and write about that. You have to write about the other side of the argument but you have to stick with your opinion on the matter. This is the Paraphrased introduction with a Thesis statement. It is important to give a brief reason for your view, the body paragraphs should expand on this. Also the examiner can clearly see your position in the introduction. In this essay, I can now write about how every case is different and a prison sentence would not be appropriate. Again you need to paraphrase the question and then clearly agree or disagree, remember to choose just one side.. the words: “to what extent do you agree or disagree…” means how much do you agree/disagree, or how far do you agree/disagree. You should mention the other side of the argument but stick to your own opinion. Balanced essays do not necessarily get a higher band score. In this thesis statement, I have clearly stated why I hold the opinion that advertising should not be banned. The examiner can now see what I will write about in the essay. Remember to keep the introduction to under 55 words or it will be too long. In this question I will choose one advantage and one disadvantage. no more than that, we don’t need a list of them… notice that this question is not asking for an opinion. Take a look at my thesis statement below, it’s a little long but I needed to cover one advantage and one disadvantage which I will then write my essay around. Ideally the introduction should be just 3 sentences but in this case I needed to paraphrase the question and mention one advantage and disadvantage. If the question asks for your opinion you must state it in the thesis statement… just make sure the whole introduction is under 55 words. You can write about 2 advantages and 2 disadvantages, but you need to keep the introduction concise.
. This means you have to write about what side you think is stronger and reflect that in the essay and also in the thesis statement. You need to state an opinion here. I have underlined the reason for my opinion here. Giving a reason for your opinion is important in a thesis statement. The introduction is 44 words long so that will be fine. Remember to write about the other side of the issue in the main body paragraphs, the side you think is weaker. Thesis statement: The main problems people face are high rental costs and overcrowding, possible solutions would be to build more affordable housing and more green spaces. I have listed 2 problems high rents, overcrowding and 2 solutions affordable housing, green spaces . You can choose just one problem and one solution and that would be fine. Thesis statement: However, not all information on the world wide web can be trusted so measures need to be put in place to restrict information. Two part question essays are sometimes called ‘Direct question’ essays. They are 2 direct questions in the task question. Sometimes they will ask for your opinion such as: Do you think….? , What do you think…? If the question asks for the opinion then you must state it. You should briefly answer the 2 questions in the thesis statement, then give more detail in the body paragraphs. Check out the blog posts about how to identify the 5 essay types and also how to paraphrase the question. These are key stages before writing your thesis statement. Make sure your whole introduction is under 55 words or it will be too long. Take a look here at how to write a good introduction in writing task 2. Here is a Discussion essay question where you have to give your opinion. 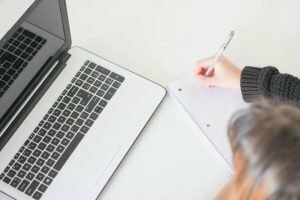 Can you write a Thesis statement for it? “Some people believe that the best way to deal with heavy traffic in city centres is for privately owned vehicles to be banned, others however think this is not a realistic solution. Paraphrased introduction: Some feel that prohibiting private cars from city centres is the best way to tackle traffic congestion. On the other hand, others argue that this is unrealistic. Thesis statement: I agree that private vehicles should be banned from city centres, and more investment needs to be put into public transportation to alleviate traffic jams. Leave a comment below if you have any questions..